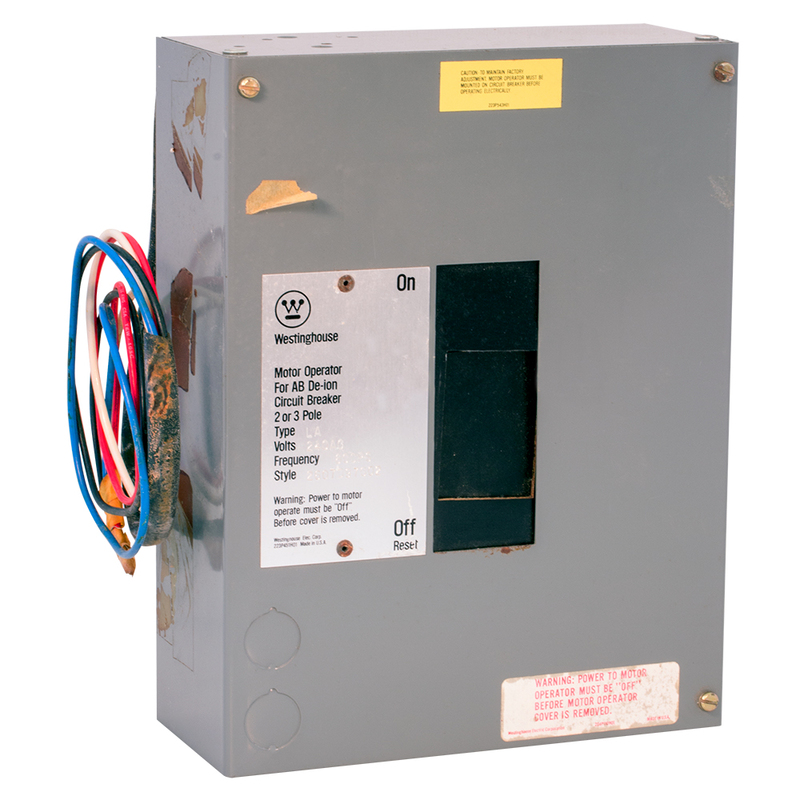 Klixon 80 amp circuit breaker. 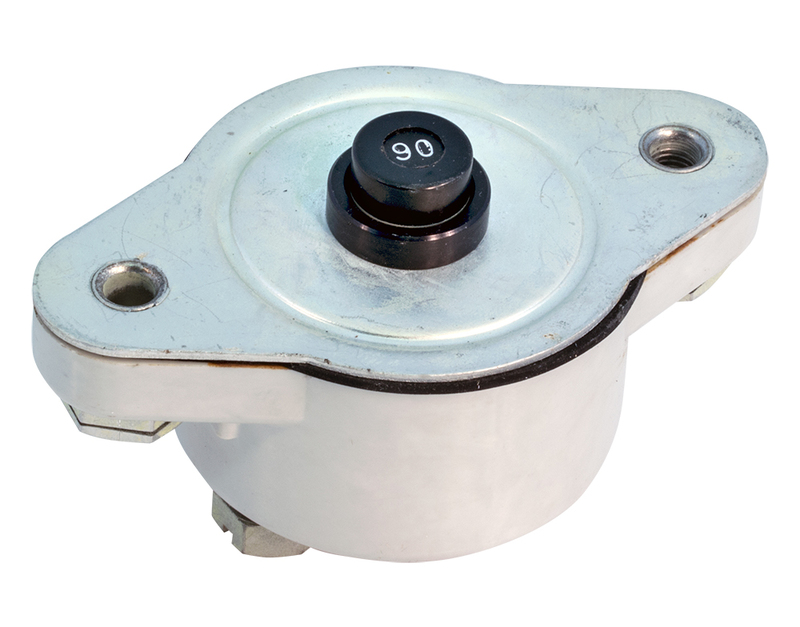 1-7/8" diameter body with flange mount. 3-1/4" total length. 2.38" center to center mounting holes. NSN: 5925-00-581-4930. New, old stock in box! 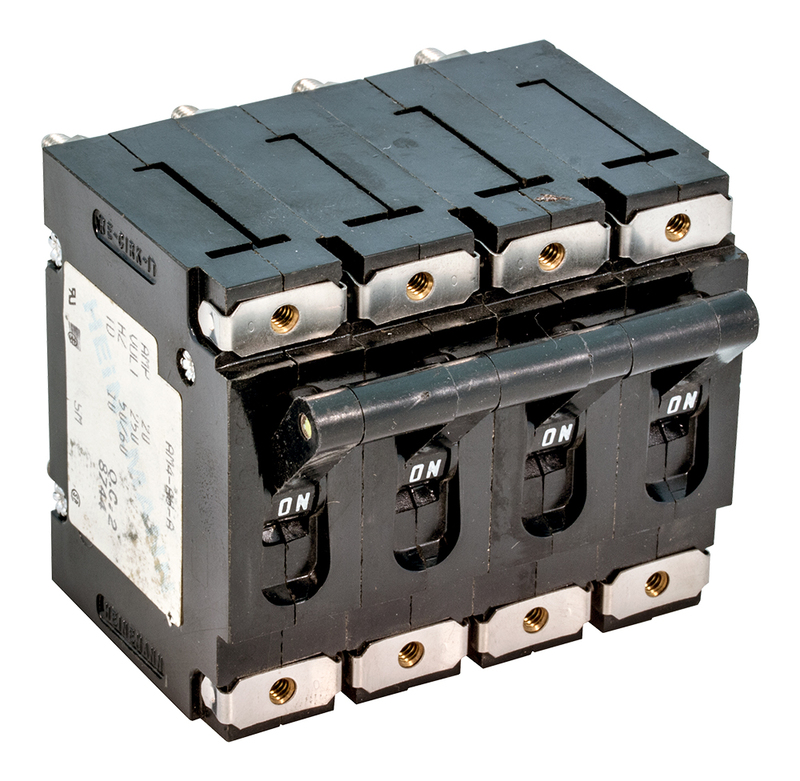 Klixon 90 amp circuit breaker. 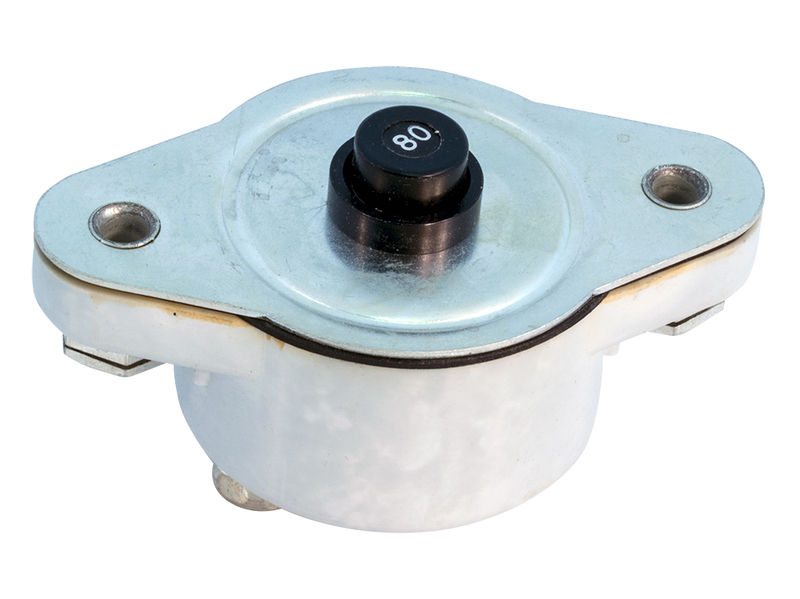 1-7/8" diameter body with flange mount. 3-1/4" total length. 2.38" center to center mounting holes. NSN: 5925-00-581-4934. New, old stock in box! 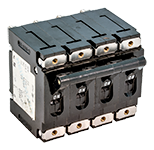 Airpax 4 pole circuit breaker. 20 amp. TD = 10. 50/60 Hz. 2-7/8"W x 2-1/2" deep. 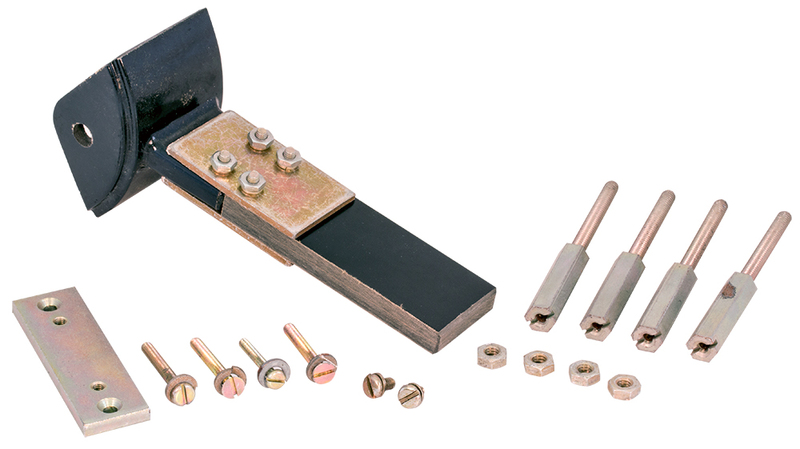 2-1/2"H + 5/8" for stud terminals. 3/4" mounting centers between breakers. 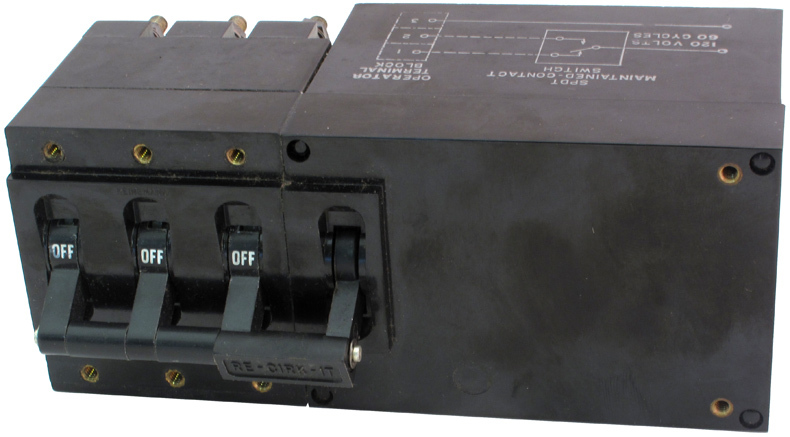 Heinemann 4 pole circuit breaker. 20 amp / 25 amp / 25 amp / 25 amp. All 250v AC @ 50/60 Hz. TD: 252. 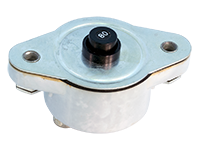 3"W x 2-1/2"H x 2-1/2"L. 3/4" centers on 6-32 mounting holes. Heinemann "Re-Cirk-It" circuit breaker. 4 pole. 250 volt. 50/60 Hz. 25 amp - must hold, 31.25 amp - must trip. 3" x 2.5" x 3" high. 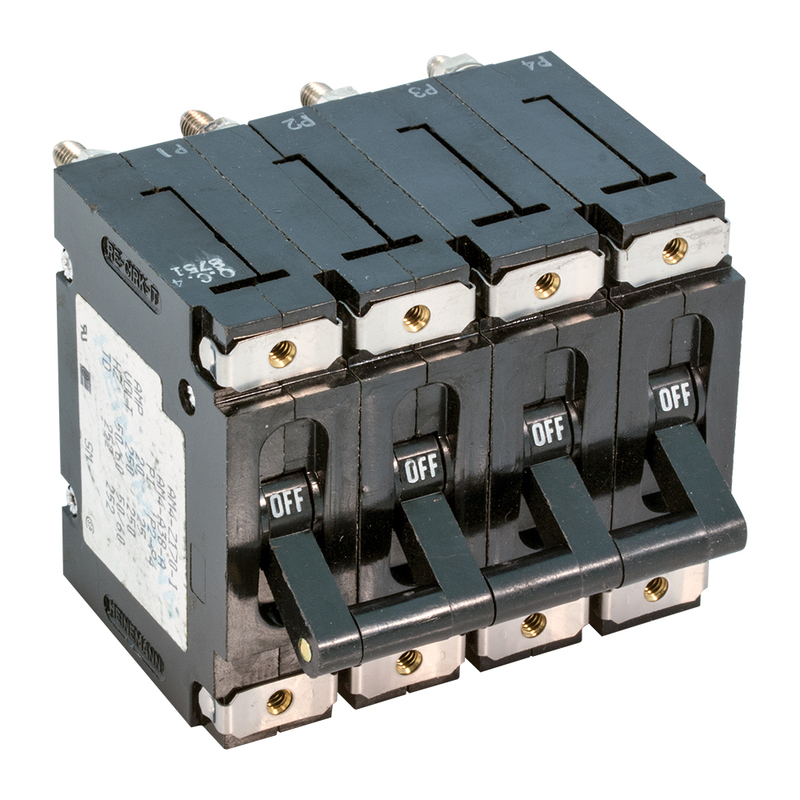 Heinemann "Re-Cirk-It" circuit breaker. Motorized reset. 120v AC. 50/60 Hz. 6 amp - 3 circuit. Time delay: 4. 2-1/2" x 6" x 3-1/2" deep. Gates P/N: 606-0455-000. Auto reset circuit breaker. 12v, 10 amp. N30-2. 0.833" c-c blades. Requires Littelfuse inline fuse holder w/ cap (FUH) MAHC0001ZXJ. Littelfuse circuit breaker. 120v. Tab mount. Holds 1.2 amps, trips 1.75 amps. Designed for the TV industry of the 1960s. 1.711" x 0.477" x 0.871" deep. Slightly tarnished. 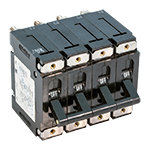 Mel-Rain / Cumel circuit breaker. 125 vdc, 60 Hz. Holds 1.0 amps. 0.557" x 1.75" x 0.9" high. 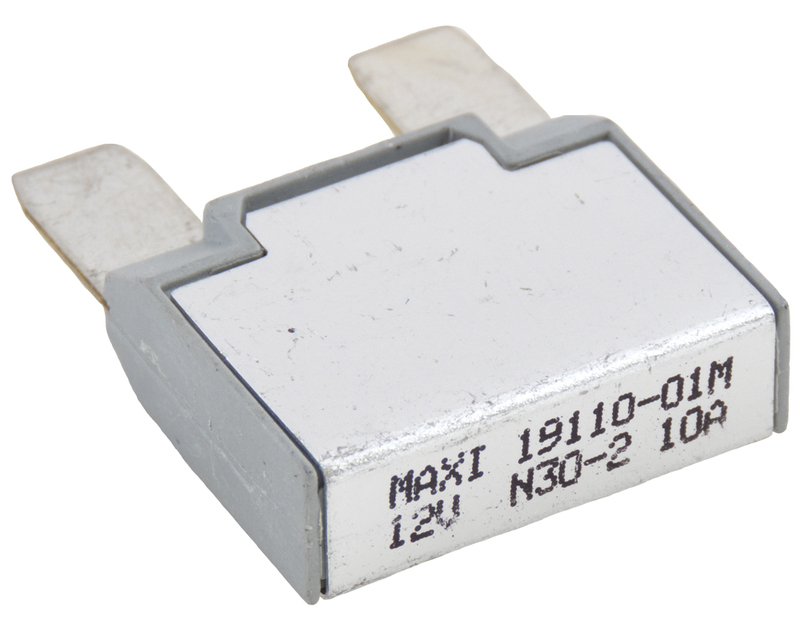 Copy of Littelfuse 815 series. Heineman Electric Company 4 pole circuit breaker. Companion trip. 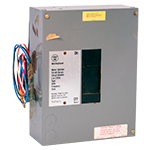 Klixon auto-reset time delay circuit breaker. 90 amp. Trips in 5.5 - 55 sec @ 200% load. 1-7/8" x 3" x 1-3/8" high. 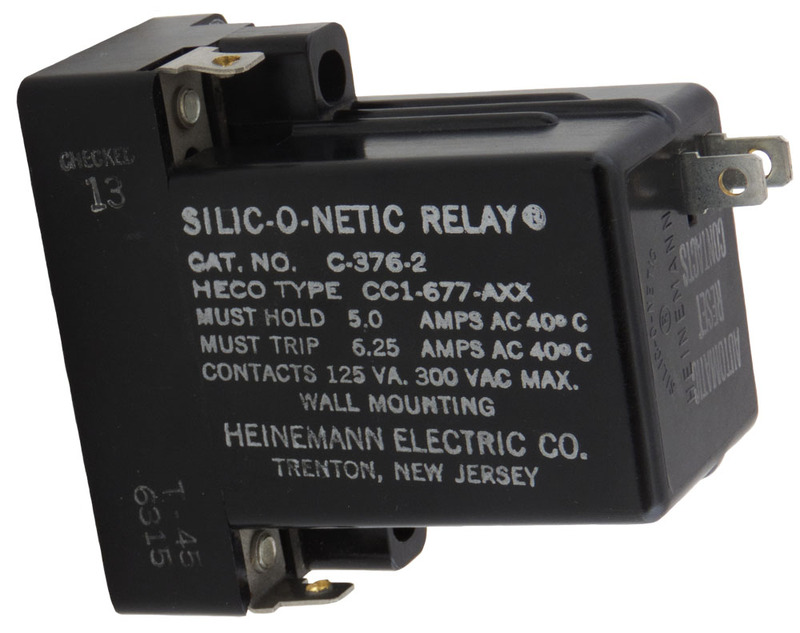 Heinemann Silic-O-Netic auto reset contacts handle 125VA 300 volts AC max. Must hold 5.0 amps AC 40°C, Must trip 6.25 amps AC 40°C. These are new, but they have been prepped for assembly. Some of the spade terminals have been drilled to accommodate direct wire soldering. HECO TYPE CC1-667-AXX. Opens when temperature reaches 102º celsius (215º fahrenheit). Use as protection for motor winding, RF finals or any place temperature must be limited. Fuse style axial body. 5 amp, 125 vac load. Not resetable.